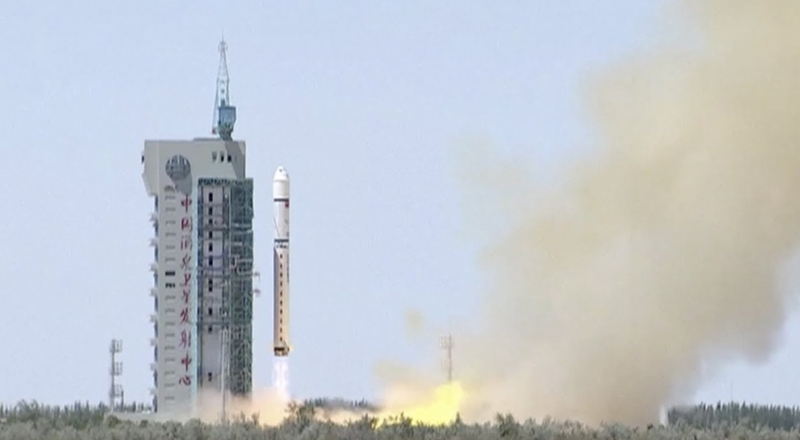 A Chinese Long March-2D/YZ-3 (Chang Zheng-2D/YZ-3) rocket has conducted the final orbital launch of 2018 when it lofted the Hongyan-1 satellite from the Jiuquan Satellite Launch Center on Saturday. The launch took place at 08:00 UTC from the Launch Pad 94 of the LC43 Launch Complex. Hongyan-1 is the first satellite of a constellation of more than 300 low-orbit satellites tasked with providing global communication services. The Hongyan constellation is being developed by the China Aerospace Science and Technology Corporation (CASC). Hongyan-1 will be placed on a 1,100-kilometer orbit to test L- and Ka-band communications technologies. The Hongyan constellation is composed of more than 320 satellites, along with data processing centers, and will be built in three stages. The orbital group will consist of 54 main satellites, accompanied by another 270 smaller satellites for coordination of the system. Six or nine satellites will be launched before the end of 2020 for network testing. The 54 larger first phase satellites will be placed in orbit by the year 2023 and the 270 smaller satellites will be placed into orbits to supplement the main satellites. Once completed, the satellite communication network will take the place of the ground-based network and allow a mobile phones to be connected everywhere on the planet, either in a remote desert or at sea, according to CASC. The project has drawn an investment of about 20 billion yuan (about 2.9 billion U.S. dollars) for its first phase, making it the largest investment for a single commercial aerospace program in China. Notably, the “Hongyan” satellite constellation should not be confused with the “Hongyun” satellite constellation. The source of the confusion is that there are two Chinese LEO comsat constellation plans by CAST and CASIC respectively and their names are similar in Mandarin. 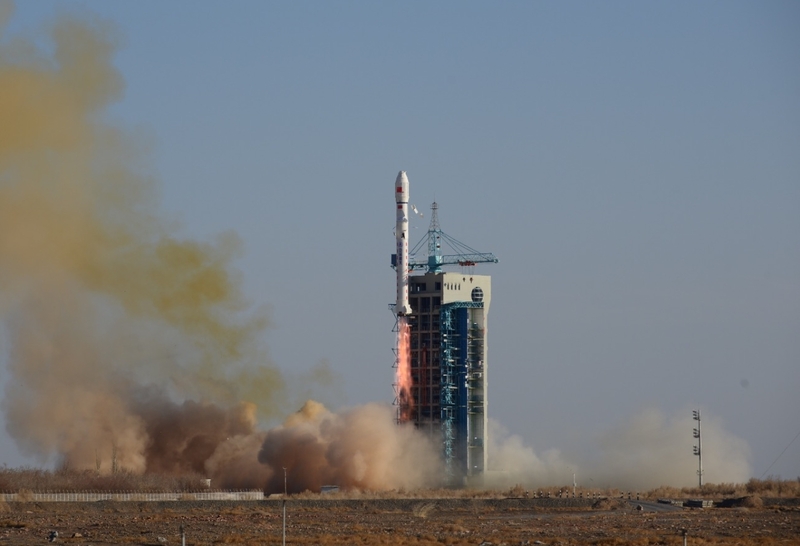 The CAST satellite constellation is called Hongyan and the CASIC constellation is called Hongyun and the first test satellite was launched by a Long March-11 rocket on December 21 from Jiuquan. In fact, the two names sound very similar in Mandarin when their meanings are very much unrelated: Hongyan means “Big Geese” while Hongyun means “Rainbow Clouds”. At the time the identity of all the satellites launched on this mission – which included ride companions – with the primary payload. The Long March-2D (LM-2D) launch vehicle is a two-stage rocket developed by the Shanghai Academy of Spaceflight Technology. With storable propellants is mainly used to launch a variety of low earth orbit satellites. The development of LM-2D was started in February 1990. From 2002, to meet the demand of SSO satellites, the payload fairing of 3350mm in diameter and attitude control engine for the second stage have been successfully developed; and the discharge of remaining propellant and de-orbit of the second stage have been realized. This launcher is mainly used for launching LEO and SSO satellites. It is characterized by high reliability, wide application and mature technology. The LM-2D can launch a 1,300 kg cargo in a 645 km SSO. The rocket is 41.056 meters long and the first, second stages and payload fairing are all 3.35 meters in diameter. The first stage is the same as the Long March-4. The second stage is based on LM-4 second stage with an improved equipment bay. Lift-off mass is 232,250 kg, total length 41,056 meters, diameter 3.35 meters and fairing length 6.983 meters. At launch, it develops 2961.6 kN engine thrust. The first stage has a 27.910 meter length with a 3.35 meter diameter, consuming 183,200 kg of N2O4 / UDMH (launch mass of the first stage is 192,700 kg). Equipped with a YF-21C engine capable of a ground thrust of 2,961.6 kN and a ground specific impulse of 2,550 m/s. Burn time is 170 seconds. The second stage has a 10.9 meter length with a 3.35 meter diameter, launch mass of 39,550 kg and consuming 45,550 kg of N2O4 / UDMH. Equipped with a YF-24C cluster engine with a main engine vacuum thrust of 742.04 kN and a vernier engine with a vacuum thrust of 47.1 kN (specific impulses of 2,942 m/s and 2,834 m/s, respectively). The LM-2D can use two types of fairings depending on the cargo. Type A fairing has a 2.90 meters diameter (total launch vehicle length is 37.728 meters) and Type B fairing with a diameter of 3.35 meters – total launch vehicle length is 41.056 meters. Launch profile of the Long March-2D starts with engine ignition at 1.2 seconds before lift-off. Pitch over maneuver happens at 12 seconds into the flight and the end of the first stage ignition occurs at two minutes 33 seconds. Stage separation and second stage ignition occur one second latter. At 3 minutes 34 seconds the two parts of the fairing separate from the second stage. Second stage main engine cut-off takes place at 4 minutes 21 seconds and second stage Vernier engines cut-off takes place at 9 minutes and 10 seconds. Nominally payload separation takes place three seconds later. The first launch of the LM-2D was on August 9th, 1992 from the Jiuquan Satellite Launch Center orbiting the Fanhui Shei Weixing FSW-2-1 (22072 1992-051A) recoverable satellite. The LM-2D can use the Yuanzheng-3 (YZ-3) upper stage. This is capable of restarting more than 20 times, and operating for more than 48 hours. It is equivalent to mainstream upper stages in the world in terms of performance, such as restart times, in-orbit operation time, independent digital control system, and adaptable behavior for various tasks. The Yuanzheng-3 upper stage was developed to meet the urgent needs for launch vehicles brought by the growth of small satellites, satellite constellations, electric propulsion platforms, etc. 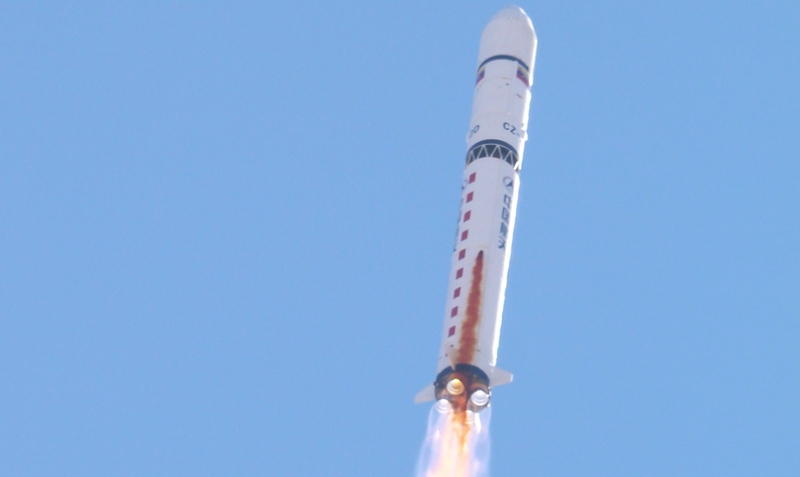 The YZ-3 can also be used on the Long March-4B launch vehicle. 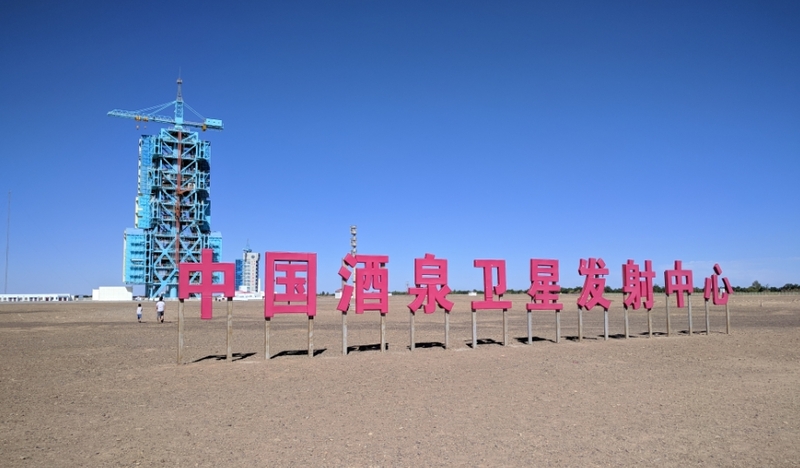 The Jiuquan Satellite Launch Center, in Ejin-Banner – a county in Alashan League of the Inner Mongolia Autonomous Region – was the first Chinese satellite launch center and is also known as the Shuang Cheng Tze launch center. The site includes a Technical Centre, two Launch Complexes, Mission Command and Control Centre, Launch Control Centre, propellant fuelling systems, tracking and communication systems, gas supply systems, weather forecast systems, and logistic support systems. This mission was the final launch of the year, with China launching more orbital rockets than any other country in 2018. The final launch of the year was China’s 39th, beating usual powerhouses Russia and the USA, although very few were flagship level missions – which was a parameter once again dominated by the United States, while the Russians are currently the planet’s main provider of human space launches.